CHICAGO – If at first you don’t succeed, hire a legal team … and fight dirty. 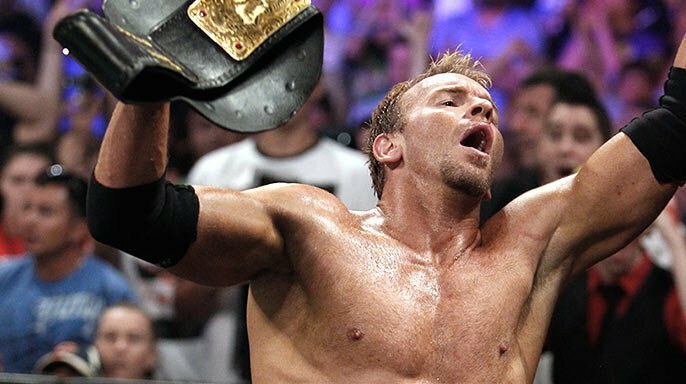 That’s exactly what Christian did to help him finally regain the World Heavyweight Championship from Randy Orton. During a tooth-and-nail battle that could have gone either way, Christian spit right in the face of the champion. The dastardly deed caused Orton to snap and deliver a blatant low blow to Christian. The move earned Orton an immediate disqualification. And, as per the special match stipulation put in place by Christian’s legal team, Orton lost his title. Afterward, The Viper launched a brutal assault on the new champion, first smashing him in the head with a TV monitor, the RKO-ing him onto the announce table. But that wasn’t enough for the furious Viper. As he walked away from the ring, he hesitated, then headed back to deliver one more vicious RKO to Christian for good measure. Christian’s victory in Chicago was the culmination of long, twisted road. Although Christian captured his first World Championship in his 17-year career at Extreme Rules 2011 (PHOTOS), he lost it to Randy Orton just five days later. After that heart-breaking night, he mounted a relentless quest to regain the title. But the results were the same each time. At Capitol Punishment (PHOTOS) and Over the Limit (PHOTOS), Christian failed to dethrone Orton. How will the seething Viper respond to having his title taken from him all because of a contract clause? With a Money in the Bank contract in the hands of Daniel Bryan, can Christian hold onto the World Title for more than five days this time? Find out the next edition of SmackDown on Syfy at 8/7 CT.